Oh Julia! What wonderful news. I loved every photo you showed -- but then, I guess with Stampington on the case, I'm in extraordinary company! The lace fish, those sweet hearts, and oh, the flowers. Oh, everything! I'm impressed and bow down before you -- really, you know they must get a zillion submissions. To be chosen is really something. Congratulations! You just keep right on singing and dancing...and of course, keep creating! Congratulations on your magazine features, you deserve them. Thanks for sharing your wonderful news. Yeah Julia what a great honor to be published. Your crafty self deserves this honor. 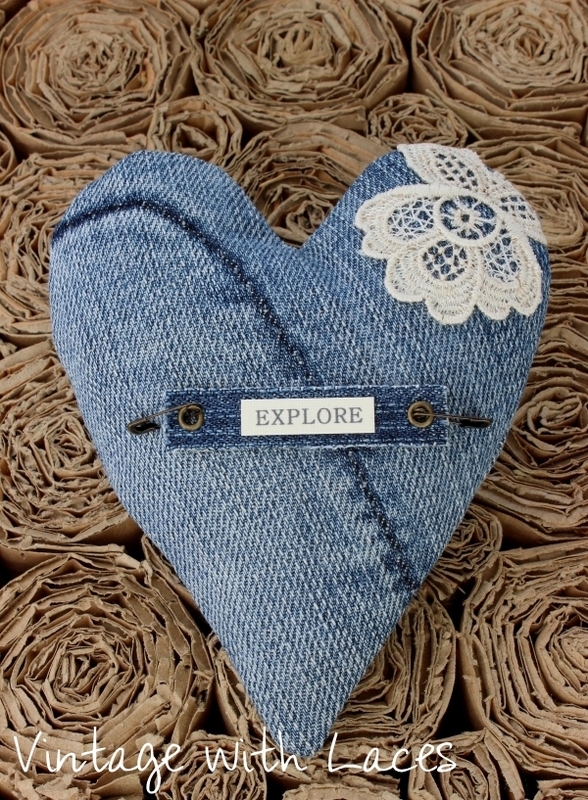 Love the denim hearts they are just too cute. The lace fish are adorable too. So happy for you. Doing the happy dance every once in awhile is so good for the soul. Love that you rocked it out in the kitchen while baking. You go girl. Oh Julia, deine wunderschönen Arbeiten sind es auch immer wert, gezeigt zu werden, sind immer eine tolle Inspiration! Gratulation zu den Veröffentlichungen, du bist ja jetzt richtig berühmt, hi,hi! 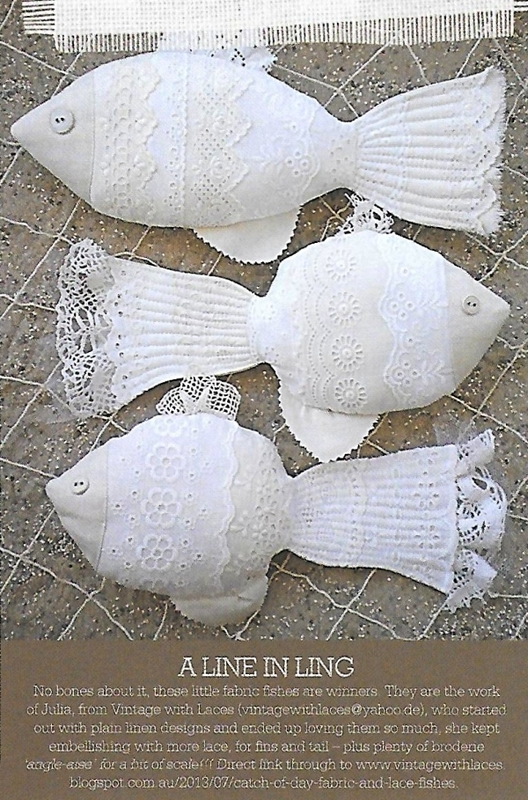 Der bunte Fisch-Quilt hat es mir besonders angetan, hast du ganz wunderbar zusammengestellt. Du fragst, was mich in der letzten Zeit glücklich gemacht hat... aktuell der wunderschöne, sonnige Tag gestern, als ich einen Ausflug zu einem alten Rittergut gemacht habe, um dort eine wunderbare Bilderausstellung zu erleben und die Künstlerin kennen zu lernen. magazines. Your art is so wonderful, and the new hearts looks beautiful Julia. So good to hear you finally have weather, which makes you feel happy and dancing. :-). 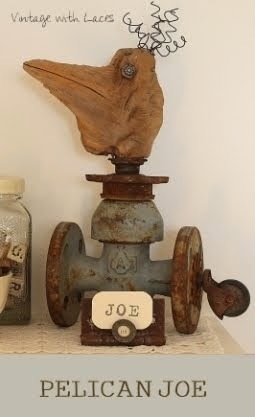 I`m happy, that we are soon in place in our new home, -slowly it looks fine all over, and I hope to also soon find things in my new workroom. I love it here, and my new little garden, is so cozy, and peaceful . Congratulations! Your projects are certainly beautiful. I love the singing and dancing and baking in the kitchen! And wow -- congrats on being featured in those magazines. Very cool. Congrats on being published!! Your hearts are adorable, cozy and sweet! How uplifting to be singing and dancing and baking up a storm both inside your kitchen and out in nature! Have a radiant, rainy weekend! wunderschöne Arbeiten und ich freue mich sehr für dich, dass du in den Magazinen damit bist, herzlichen Glückwunsch zu den Veröffentlichungen, das ist wunderschön. Yay!! Such fabulous news to dance about! Congratulations!! Your project look so beautiful!! I'm so glad it rained and the temperatures dropped for you! Well, how wonderful! You are so creative and talented, Julia! Congratulations! Wow! That's so awesome Julia, and so well deserved. Your projects are always so creative. I can so relate about the summer. It was way too hot and humid here, but thankfully fall is coming and it'll be nice to spend more time outside. I'm so glad it's cooled down for you. All so gorgeous! How wonderful to have so many reasons to sing and dance in the kitchen! Congratulations. 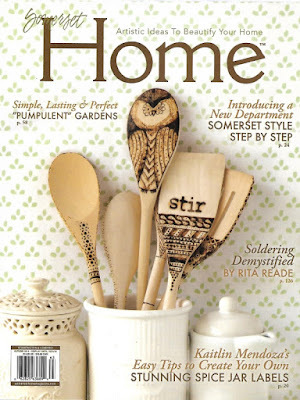 I have at least one of those publications in my "to read" pile and think it will now be cut line to make it to the top! 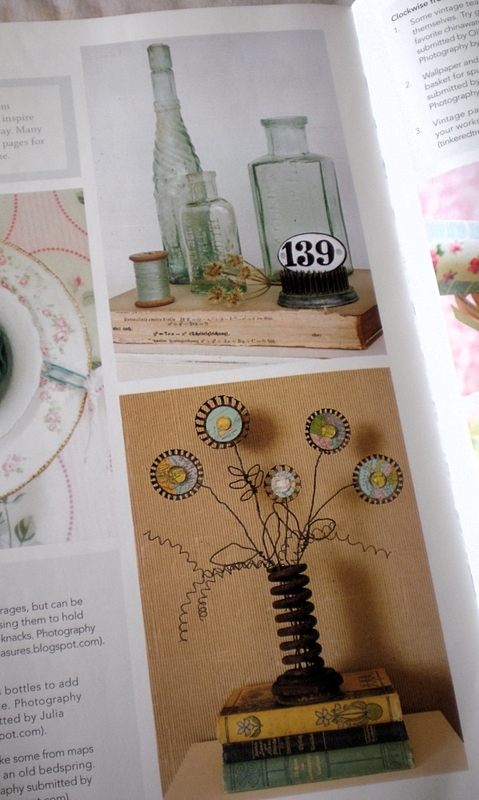 It must be so exciting to have your work shown in a creative magazine, but three, wow! Congratulations. I really love the rusty map flowers. gratuliere dir von ganzem Herzen zu deinen Veröffentlichungen. Du machst auch wirklich sooo schöne Sachen! Bei uns ist das Wetter immer noch sehr sommerlich. Ich liebe es!!! Wie wunderbar ! Du kannst ganz ganz stolz sein - so schöne Veröffentlichungen Julia! Herzlichen Glückwunsch! Ich bin begeistert von Deinen Objekten! Ganz ganz toll! Wow! This is really beautiful. I love the. I love dancing and singing too. Julia it makes me happy to know that you are back. You have been greatly missed all summer! Congratulations on all your success! It is much deserved, you have such a unique style that really stands out. Looking forward to more of your stunning artwork. Oh my, what lovelies! Congratulations on the many publications. 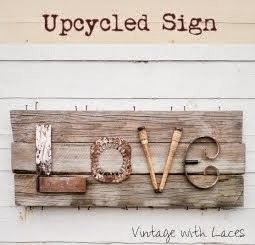 I especially love the hearts and your rusty map flowers. All very inspiring! It seems forever since we "chatted" but I am at least enjoying seeing some more of your beautiful creativity! Congratulations on being published in these magazines! 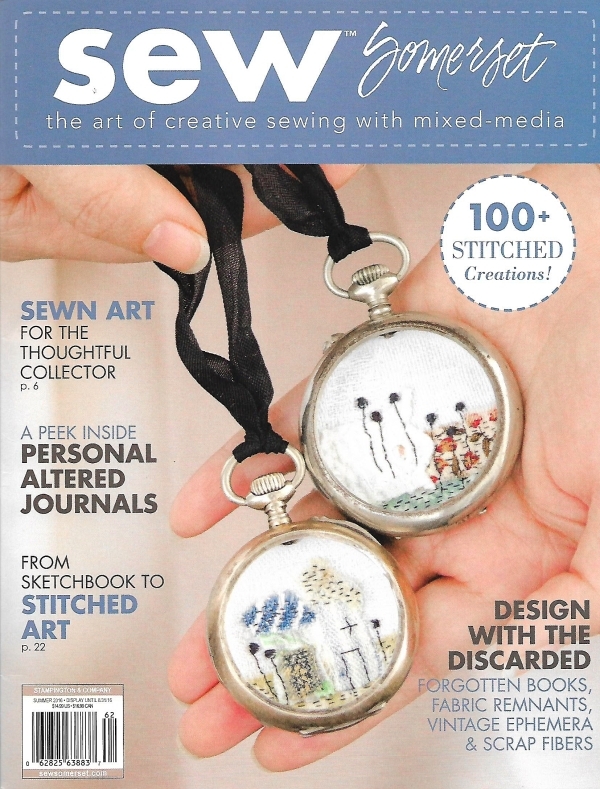 I am even more thrilled that I actually have that issue of Sew Somerset (gifted to me!) and saw your beautiful denim hearts. I know too how much you dislike the heat and can now see you dancing around in the kitchen doing one of your favourite things - baking. Have fun my friend! Congratulations! I love all your crafty projects! My husband has an old pair of jeans that I saved... looking for a project to do with them. The hearts are so pretty! Thank you so much for visiting my blog and I hope you have a wonderful weekend! You do SUCH beautiful work, Julia! 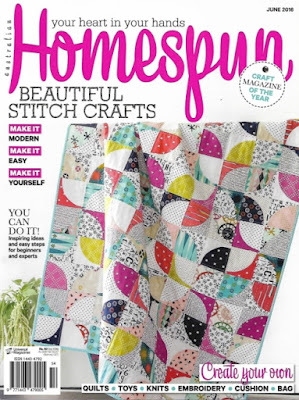 so fun to see you in a magazine! Those fish are FABULOUS!! Are you still making them?? 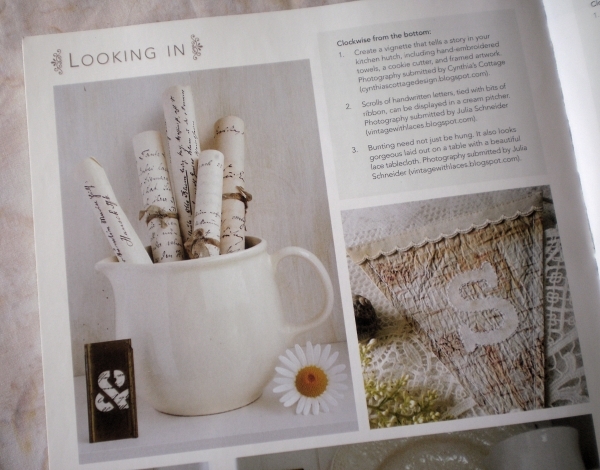 How wonderful to have your work featured in magazines. And how well deserved. I hope you never stop dancing, Julia. Que bonitas fotos. Felicidades por tu bloc, ha sido un regalo poder visitarlo. This is huge Julia, Congratulations!! I'm so happy for you, das ist super super toll und aufregend!!! You deserve it and I would have danced and danced as well! Congratulations on your publications! Hab sogar die Ausgabe von Sew - Stampington Publications! I am so excited about this Julia! What a wonderful thing to be published in these amazing publications. How thrilling! I have got to go see if they are still in the bookstores here. Sorry I only saw this today. Heartfelt Congratulations to you Julia, all of which you and your art deserve. The fish are so beautiful, oh my word, gorgeous! 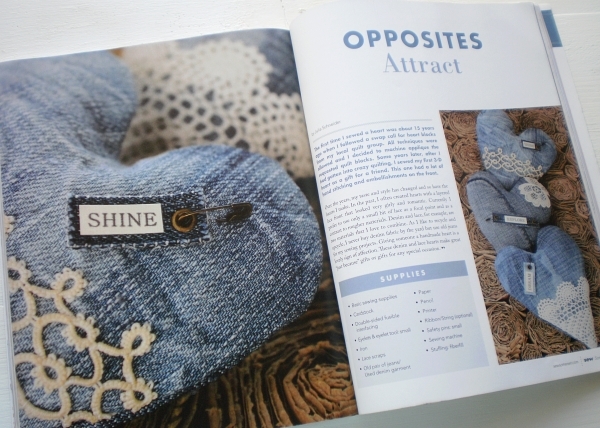 Then all the photographs in Somerset Home, that is very special and I love the denim hearts. 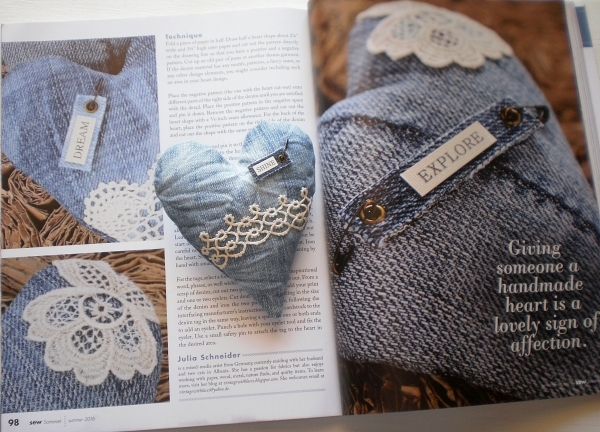 I received some old jeans and had thoughts of making some hearts but I could never create anything as special as yours featured in Sew Somerset.